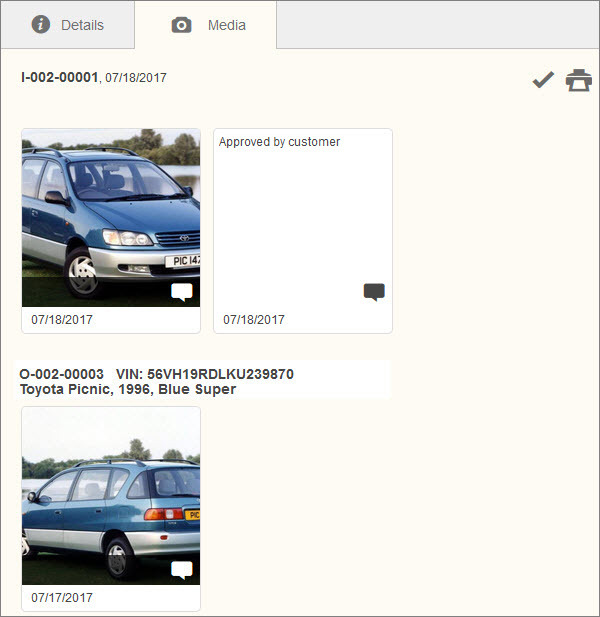 On the Media tab of the Invoice detail view, you can see text and image notes of invoice and work orders added to invoice. Note At the top of the detail view you can see invoice number, invoice date, and buttons for approving and printing invoices. To show an image note in full size, click the appropriate image thumbnail. To see text notes, click the Notes icon.